Blackened doom trio Coldfells hails from a town just across the Ohio River from Wheeling, WV -- an area of astounding natural beauty that’s been hit hard economically. The band also is part of a close-knit heavy music scene, and includes members of at least three other bands you need to know about: the haunting, acoustic Nechochwen, classic doomsters Brimstone Coven and blackened sludge monsters Plaguewielder. Coldfells reflects these influences and their environment with music that’s both soothingly ambient, scathingly bleak, and always heavy. Their first full-length, released via Bindrune Recordings in March of this year, features five lengthy haunting paeans to nature in both lushness and decay. (The band released a two-song EP, Black Breath, in 2014.) 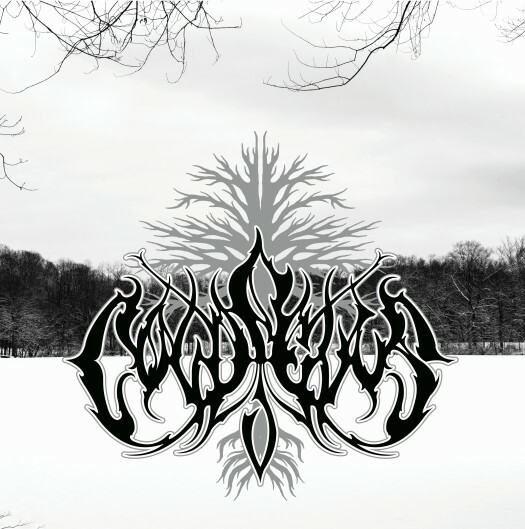 Comparisons to Agalloch and Paradise Lost aren’t really off the mark: Coldfells seems to equally shift between cold, despairing black metal and stately doom. Fans of Ulver’s Black Metal Trilogie, especially Bergtatt, will also find a lot to love about this release. The album begins hauntingly with “The Rope,” which opens with an eerie organ melody and a chorus of clean, soaring voices singing wordlessly. Soon the song gives way to chunky, blackened riffs, and harsh vocals. The lyrics are mystical and mournful, seeking truth and despairing of reality. The remainder of the album follows this recipe fairly closely: Quiet intros give way to blackened assaults that roll in like storm clouds, engulfing everything and raining doom. The album hits its peak with the last two songs. The sludgy “All Night We Flew,” uses subtle, and unexpected, piano melodies to soften the oppressively angry rhythms. The last song, “Eons Pass,” is the album’s doomiest and most discordant. It also makes good use of the ambient sound of a storm, along with acoustic guitar and piano, before ending on a thunderous note. The feeling is haunting, tranquil and melancholy. Overall, Coldfells is a noteworthy debut full-length that showcases a band completely in harmony with its environment. If you’re at all able, you should listen to it in the woods, or by the ocean or anywhere away from civilization, in order to experience its power. This is pretty compelling stuff. Great review. The guitar tone is so amazing i'm in shock! Gotta get this!